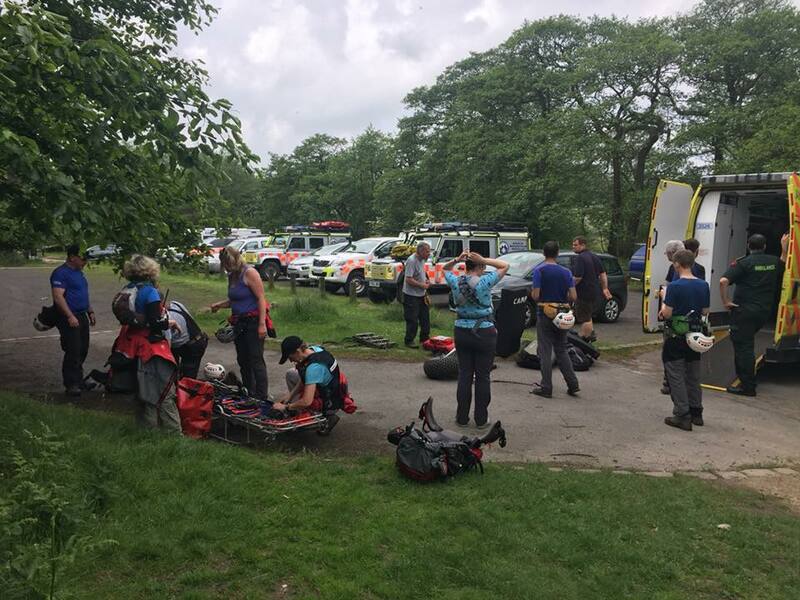 The team was called to assist Edale Mountain Rescue Teamand East Midlands Ambulance Service on a second incident in as many days just above The Plantation. 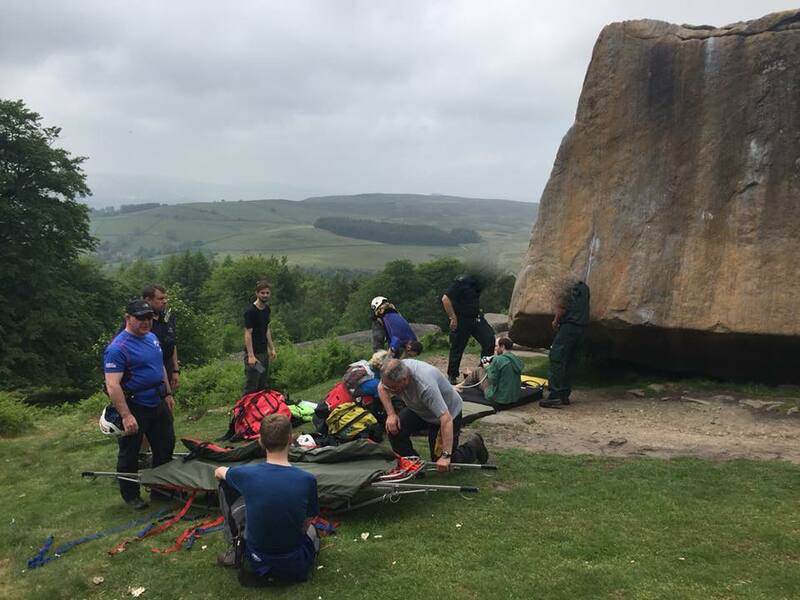 Team members helped transport a fallen climber who had landed awkwardly after a move. The gentleman suffered a lower right leg injury, which was splinted before being carried to an awaiting ambulance.